Rug Fringe Cleaning and Repair – Make your fringes look like new! At Mark Gonsenhauser’s Rug & Carpet Superstore we have various rug fringe cleaning and repair options to choose from. A thorough rug cleaning is also recommended. We understand when it comes to fringe on a rug, folks either love it or hate it. Having fringe on an Oriental area rug could be what makes it stand out in your home, or it could be a bother to those who have pets that may chew on it. Either way, we can help! 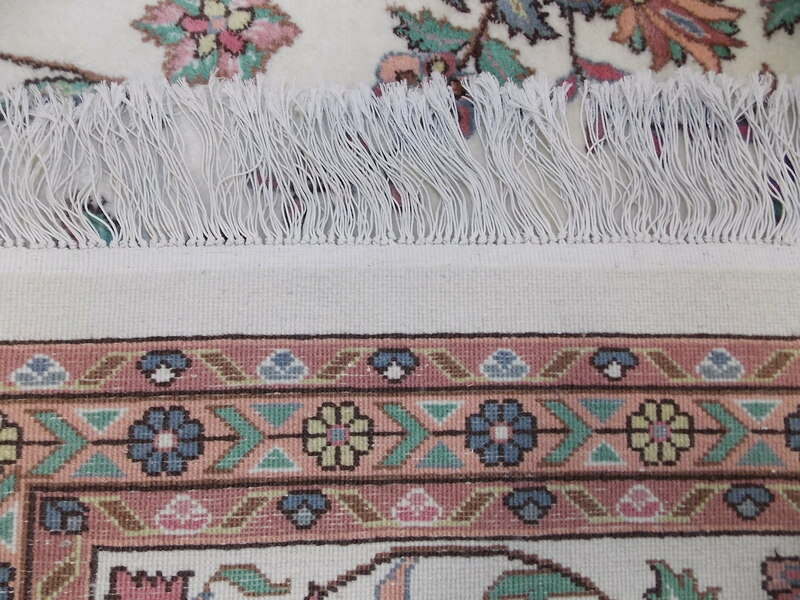 If you have a lovely Persian area rug that once had pretty white fringes and over the years they have become soiled and tangled, we offer rug fringe cleaning that helps restore your fringes to their original beauty. 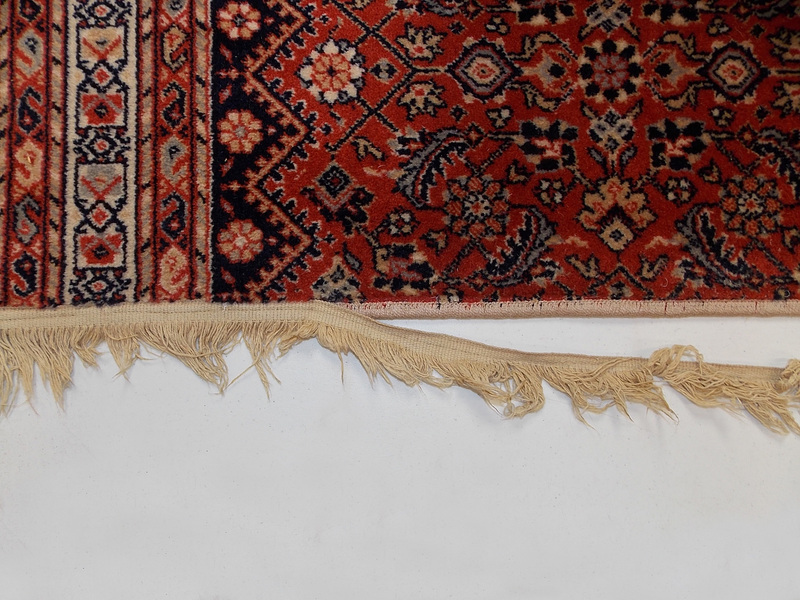 After your rug is thoroughly cleaned by our professional Rug Cleaning department, our rug fringe cleaning service is performed by hand using a special fringe brush. Extra care is taken with a special non-bleach brightener to remove dirt and stains to help restore your fringe back to its original brightness. If you’ve decided that fringe is not for you we provide fringe removal by two different methods. 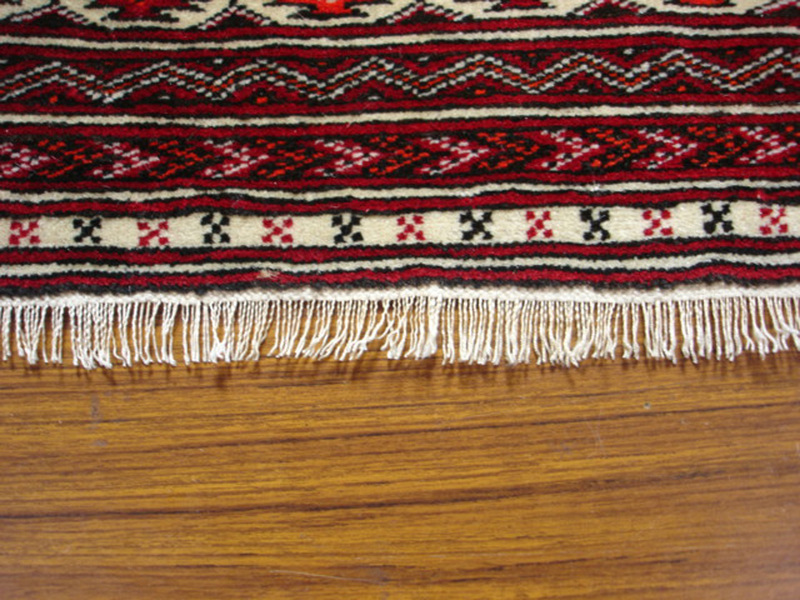 The first is to permanently remove and over sew the fringe so that the rug doesn’t fray. 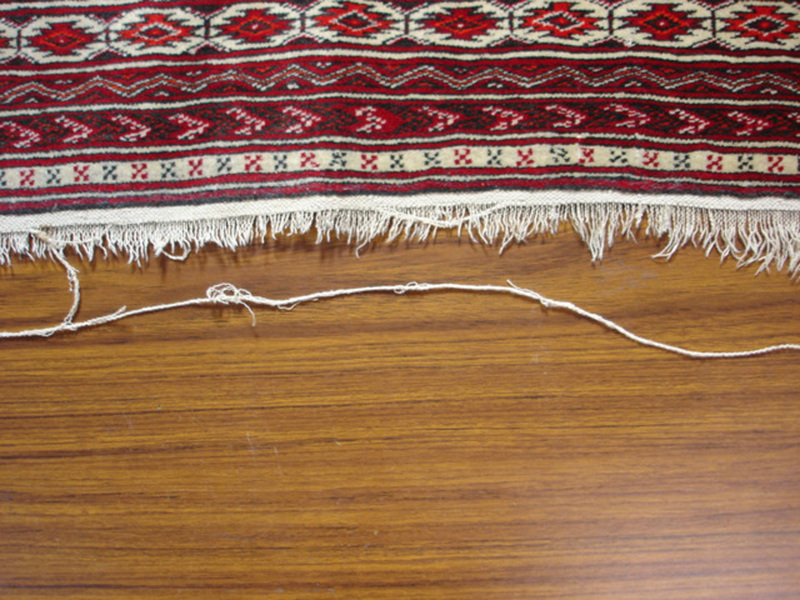 Or, the second option would be to fold the fringe under your rug and secure it so that it doesn’t come undone. With the second method if you happen to change your mind about the fringe it can be restored to its original state at any time. If your fringe is worn, thinning and frayed, don’t worry! We can replace the fringes and give your rug new life. If you are a fringe lover and your rug did not come with fringe, we can add a false fringe of various types, lengths and colors. Fringe trimming is another option if your fringe is too long or uneven in length. We can trim the fringes to the perfect length that suits you. To prevent unraveling, our repair artisans can hand over sew your fringe to ensure they won’t unravel. 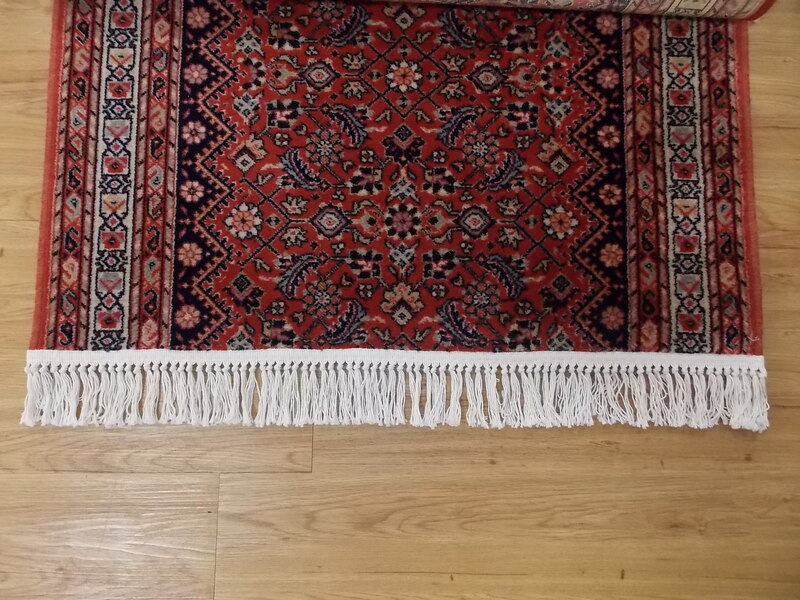 At Mark Gonsenhauser’s you have options when it comes to rug fringe cleaning and/or rug fringe repair! Call us at 757-333-1010 or come in and we will be happy to help you decide what best suits you and your rug! We have a full range of rug cleaning and repair options. Pick up and delivery is available for a reasonable fee.